Syllabus of the Online Course (Subject): Mozambican Ports (ports of Maputo, Nacala, and Beira). Learning materials in or Portos de Mozambique Ports du Mozambique Puertos de Mozambique. 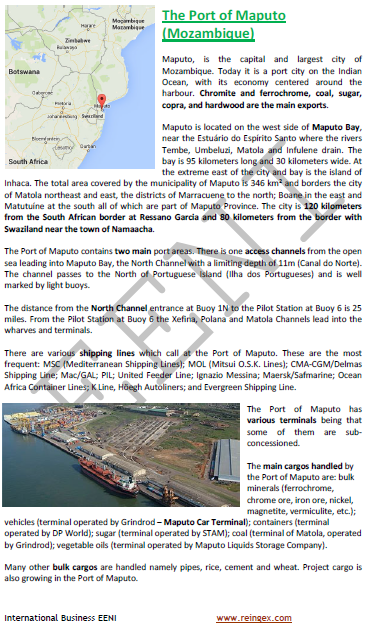 Description of the Online Course: Ports of Mozambique. 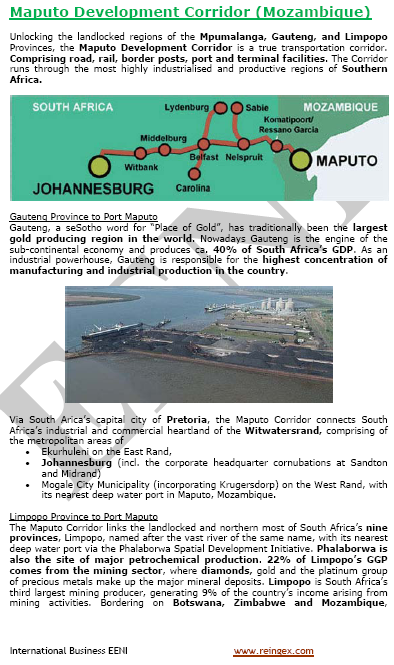 The largest gold producing region in the World (40% of the South African GDP). The Port of Maputo belongs to East African Economic Area (African Civilisation). More information about Mozambique (African Portal - EENI Business School & HA University).